The arrival of spring is such an exciting time of the year. Blossoms. Ducklings. Daffodils. My birthday.Sunshine. Dresses. Asparagus. I love spring and the flavours of spring but I still struggle to cook seasonally. I blame reading food blogs written by people in the Northern Hemisphere. It takes some restraint to bookmark all the pumpkin recipes appearing online and not succumb to ‘order envy’ and to embrace what is in season here. Spring is the season for asparagus, avocados, beetroot, courgette, cucumber and tangelo so I’ll be trying to make the most of these ingredients being cheap and at their tastiest in the coming weeks. I’m terrible at remembering what is in season when, but the Healthy Food Guide has a great reference chart you can easily glance at to see what fruits and veges are available when. 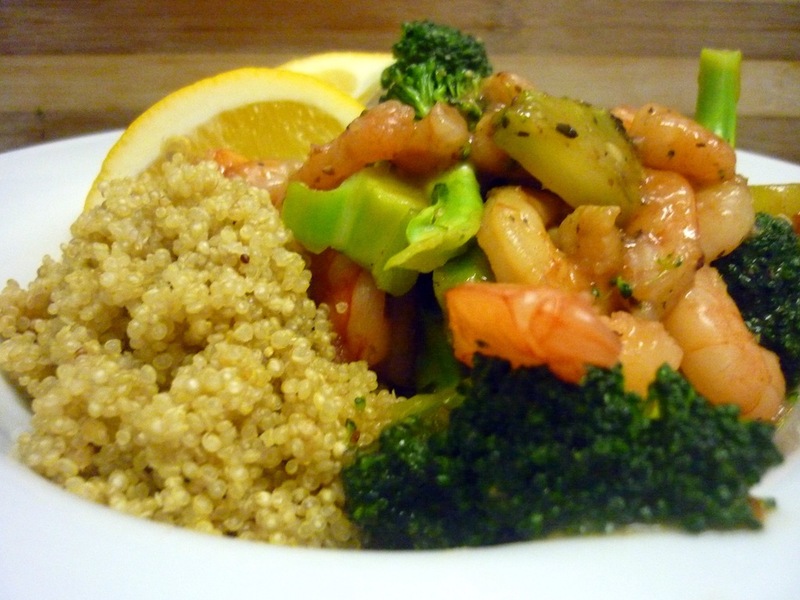 This stir-fry is very simple. 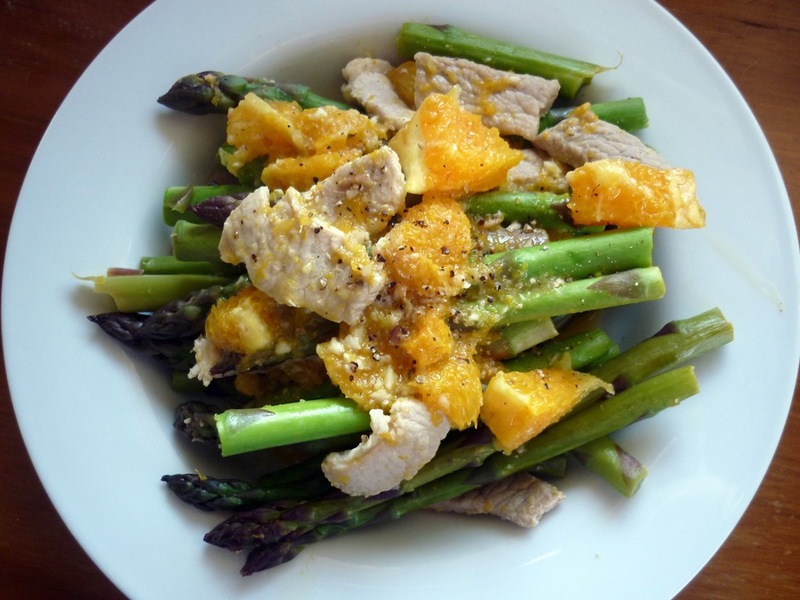 It consists of just orange, pork and asparagus, seasoned and flavoured with a little olive oil and garlic. 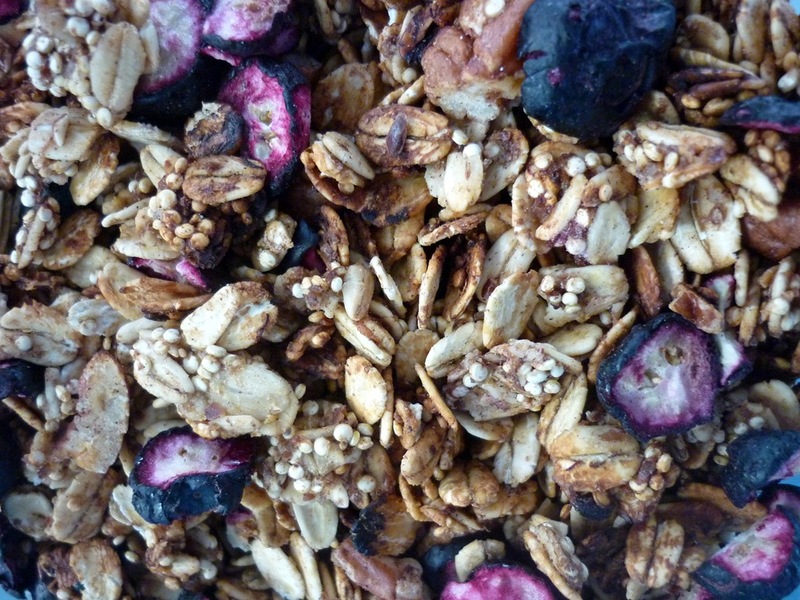 The flavour combination may seem strange but is light and fresh. I think a cool glass of white wine would have just made it… next time. 1. Grate 1 teaspoon of rind from the first orange and squeeze 1/4 cup of orange juice from it. Set aside. 2. Cut the skin and pitch (white bitter coating under the skin) from the second orange. Cut the flesh 8 wedges and then cut each wedge into 3 or 4 pieces. 3. Heat the olive oil in a fry pan over a medium-high heat and stir fry the pork until just cooked. (Don’t over cook it as I did or it will be chewy). Remove pork from pan and set aside. 4. Add asparagus to pan with orange rind, garlic and 1/4 cup of water. Cover the pan and cook for two minutes until the asparagus is bright green and tender crisp. 5. Add orange juice, pork & orange pieces. Heat through. 6. Season with salt and pepper then serve. When I was growing up, broccoli seemed almost exotic. Our family didn’t eat broccoli at this stage and I always enjoyed it when I had dinner at my best friend’s house. Years later, the novelty hasn’t worn off but I enjoy broccoli for different reasons. I love how it only takes a few minutes to steam and how sauce gets stuck in its little finger bits (I’m sure they have a name, any ideas anyone?!). 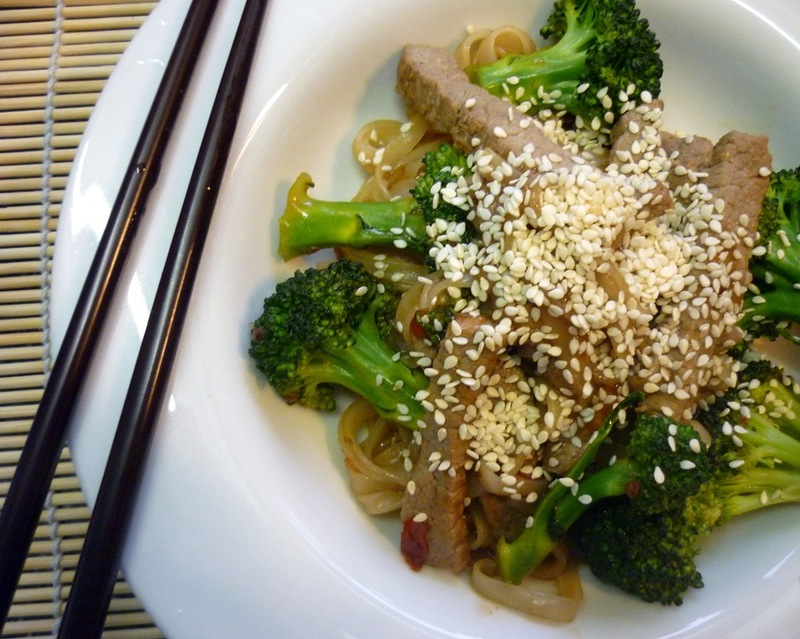 This quick recipe is based on the Sesame Beef & Noodles by Women’s Weekly. I have simplified the method a little bit, added more broccoli (yum) and used dried rice noodles instead of fresh rice noodles because they are a lot easier to find and super cheap too. I like that this recipe doesn’t have a lot of ingredients.